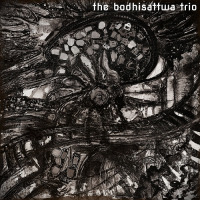 The Bodhisattwa Trio is an Experimental Jazz Fusion/Avant Garde outfit from Kolkata, India, which believes in expressionism, social reflection and spontaneous creation. Drawing influences from life, the universe and everything, the trio, with Bodhisattwa Ghosh on Guitars, Premjit Dutta on Drums and Shonai on Keyboards & Synth Bass delivers a mix of original instrumental compositions with special emphasis on harmonic and rhythmic expansion, theme and variation, virtuosity and spontaneous improvisation.
. In November 2017, the trio performed in Europe covering 8 gigs across Germany, Poland, Croatia and Lithuaniua, ending their tour as the only Indian Artist to perform at the Vilnius Mama Jazz Festival in Vilnius, Lithuania, performing original compositions from their 2nd album as well as newer tunes which will make up their 3rd album, set to be recorded in June 2018. All About Jazz musician pages are maintained by musicians, publicists and trusted members like you. Interested? Tell us why you would like to improve the Bodhisattwa Ghosh musician page.